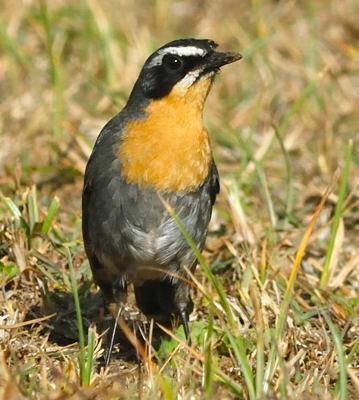 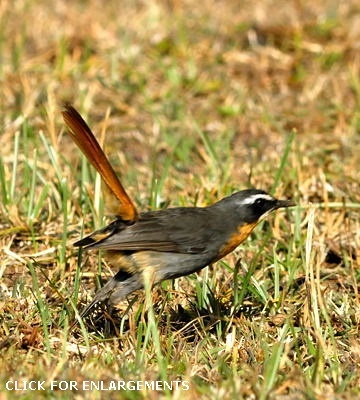 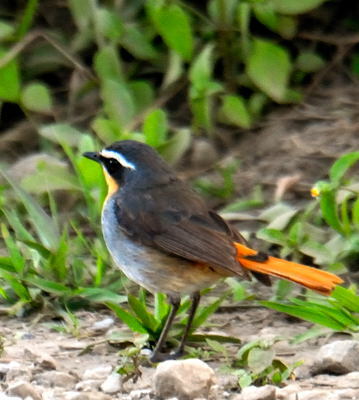 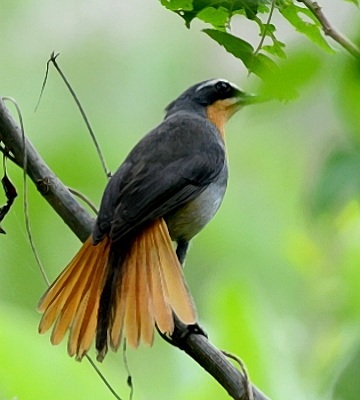 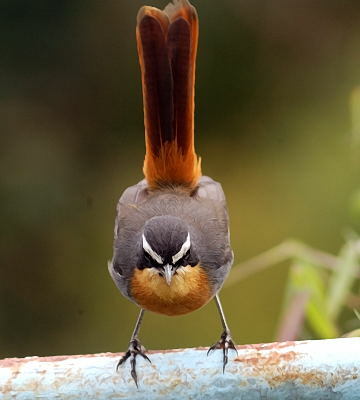 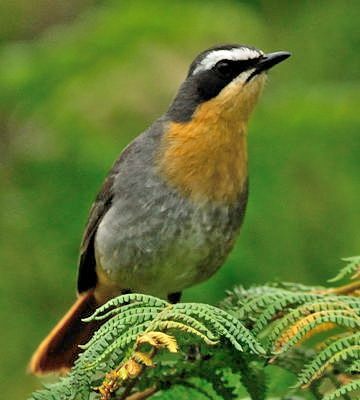 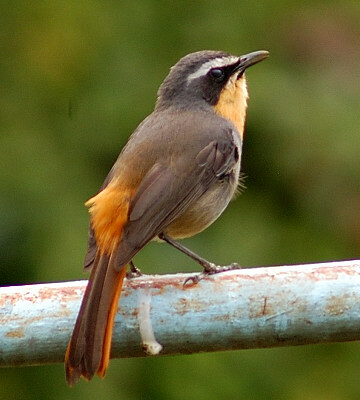 The cape robin-chat's grey belly and flanks distinguish it from other robin-chats. 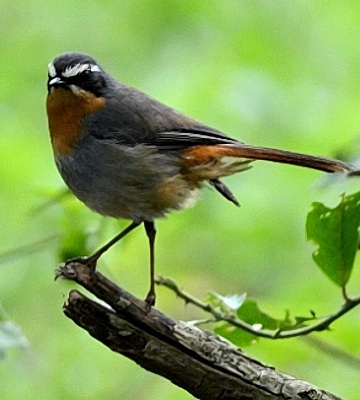 It has a patchy distribution in east Africa, especially at higher elevations in many habitats including forest and gardens. 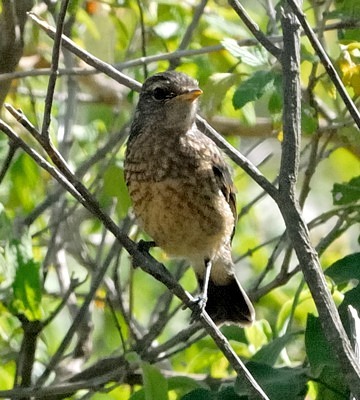 The 2nd row photos of a juvenile were taken in Arusha NP (2-10). 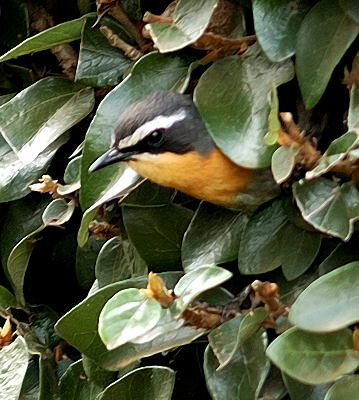 The top row photos and the the right 3rd row photo of a bird on a nest in ivy was taken at the Marangu Hotel (11-03); the 5th row photos, at Ngorongoro CA Forest (1-16). 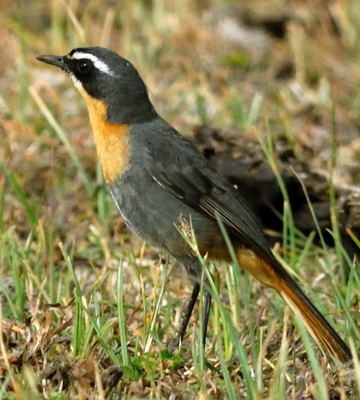 The others were taken in Ngarwa (6-09). 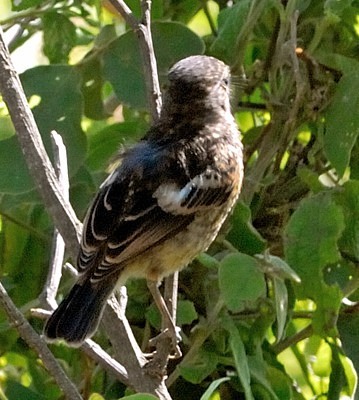 Click on the left lower photo to see 10 enlargements including another immature.